Nicol Cochrane was a Covenanter who had to go into hiding. He was a 'portioner' in Newtown. He survived the Killing Times and died on 20 January 1708 aged 63. 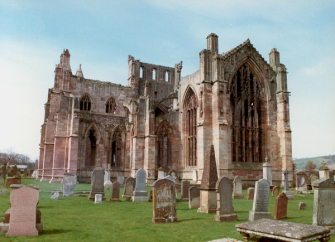 He was buried in Melrose Abbey churchyard, on the south side of the ruins. The small headstoen is lcoate don the south side of the abbey. It has a carved winged soul, skull and bones on the rear.